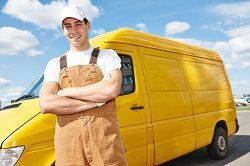 Looking to hire a reputable man with a van removal service in WC1 region can be tricky. With so many options available how do we decide who to choose? Well, Kings Cross Removals has many great reasons as to why you should hire us - we provide a whole range of helpful services to our clients as well as affordable rates and reliable, friendly man and van movers to help along the way. To find out more, give us a call now 020 8746 4450. Now moving can be stressful right? And no doubt you are dreading the ‘big day’ right? Well, that’s where we come in very handy because we aim to take the stress out of moving by taking sole responsibility for everything that is involved! You do not have to worry about a thing on removal day as we are happy to do it all and that is exactly what our staff is trained to do. We will arrive at your home on moving day, we always aim to be on time and our team of movers in WC1 district are enthusiastic and ready to get this job underway. We do not expect clients to help with the heavy lifting and loading, that is our job! 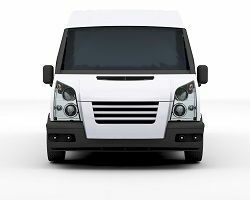 Our man with van workers are trained to load a van in specific way with items loaded extremely carefully to avoid any damage occurring, and you can be sure that everything will be handled with utmost care. We also like to get the job done promptly, so there will be no waiting around or wasting valuable time, we will have you moved into your new home in no time at all! We have been taking care of removal services for a very long time and over the years we have gained a lot of knowledge in knowing how to provide home and office removals in Kings Cross effectively. It’s true that the more times you do something, the better you get at it and having that experience behind us as helped us to establish our fine reputation. We have worked hard to get it and will continue to do so in order to keep it, so you can rest assured in knowing that the service you get from us is going to be a good one. Of course as much as we try, pleasing everyone is not always possible but we always tell our customers to voice their concerns as we are always happy to oblige. Customer satisfaction is very important to us. On moving day our friendly man with van workers will take on the hefty task of lifting and loading all goods, including those heavy and awkward items you may have. Do not worry if you feel that something may be a struggle for our Removal men in N1 region because over the years we have dealt with all kinds of situations and you would be surprised at how our movers manage to get even the largest items through the smallest doorways, and without causing any damage! Of course, it is always better to mention this to make the team aware, but don’t worry, it will not put us off! Everything is doable and if anyone’s going to find a solution for your removal troubles, you can bet that will be our man and van hire services! Kings Cross Removals has many other services on offer, not just a removal man and van, and some of these services may be of interest to you. We provide a variety of services because we can appreciate how much work is involved with moving house or office and these services are available to make that process slightly easier. The range we have on offer includes packing services, storage facilities and insurance to cover goods, you can automatically get the insurance when you opt to use our packing service, so call us now on 020 8746 4450 to find out more.